Connecticut Gets into The Act! For up-to-date location listings, check the web site. Perhaps I should go away more often! Or…not. New England Cable News did a nice story about The Act last night. It will be on their web site for a limited time. P.S. Here is a direct link to the story. 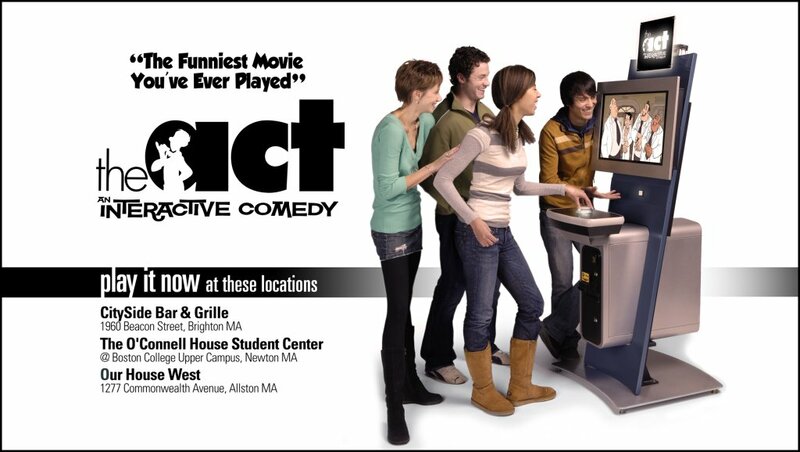 As part of our field test of The Act, we are running this advertisement in the pre-movie slide show at the Circle Cinema in Brighton, Massachusetts. We will monitor the earnings at the advertised locations to see how effective the advertisement is. We just got a copy of the November 6 issue of Red Herring, with a nice article about The Act! 🙂 The article is not available on Red Herring‘s web site, but we have reprinted it here on the Cecropia site.